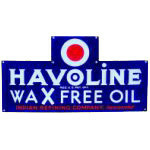 This antique circular sign advertises Veedol Motor Oil. The sign is arch-shaped, and has a large red circle at the top. 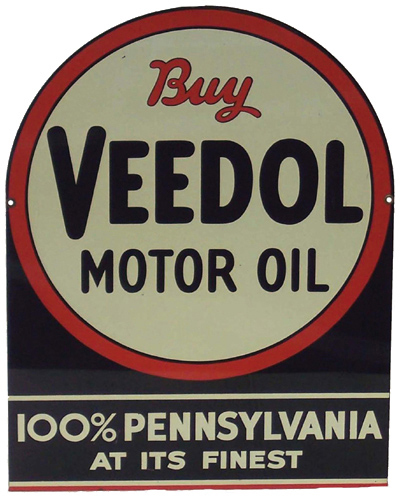 The message reads, “Buy Veedol Motor Oil.” The remainder of the sign which features a black background has white text that reads “100% Pennsylvania / At Its Finest.” The sign is equipped with two mounting holes.